Homeward Bound Series — Wing on Wo & Co.
Homeward Bound: Memories, Identity, and Resilience across the Chinese Diaspora is a series of public events that highlights everyday resilience in Chinatowns around the world. It is spearheaded by three local artists, ethnographers, and facilitators of The W.O.W. Project: Huiying Bernice Chan, Mei Lum, and Diane Wong, who have spent the past several years conducting ethnographic research and oral history interviews with the Chinese diaspora in New York City, San Francisco, Boston, Los Angeles, Vancouver, Seattle, Lima, Havana, Johannesburg, Ho Chi Minh City, Kuala Lumpur, and Sydney. Each of these communities have overcome extraordinary struggles due to the lasting impacts of war, violence, displacement, and dispossession. This public series is the first of its kind to preserve and build on the history of Chinatowns around the world through community-led and curated narratives from residents globally. By sharing an expanded collection of oral history interviews, photographs, and videos, we hope to build collaborative knowledge and space for community members to come together to expand our understanding of diaspora. Reserve your ticket today for the first event! Donations for tickets are accepted on a sliding scale basis. Please message the hosts on Facebook or email wingonwo26mott@gmail.com if you would like a ticket and cannot make a donation. April 6th // 7- 9 PM - “Chinatowns Around the World” ft. Huiying B. Chan at Wing On Wo & Co.
April 20th // 7-9 PM - "West Coast Chinatowns Solidarity Tour" ft. Diane Wong and Mei Lum at Wing On Wo & Co.
June 14th // 7-9 PM - "Oral Histories of the Diaspora" ft. Huiying B. Chan, Diane Wong, and Mei Lum at Wing On Wo & Co.
Huiying Bernice Chan is a creative writer, multimedia storyteller, and aspiring healer with roots in Chinatown and the Toisanese diaspora. Huiying received the 2016-2017 Knafel Fellowship to travel solo to Chinatowns in eight countries around the world to document global migration and resilience across the diaspora. As a current Open City Fellow with the Asian American Writers' Workshop, Huiying is covering stories of intergenerational arts and activism in Chinatown. Their writing has recently been published in Culture Push's PUSH/PULL Online Journal, The Blueshift Journal, and the Asian American Journal of Psychology. Huiying is continuing to dream a life that is oceanic. Mei Lum is the fifth generation owner of her family’s 92-year-old porcelain ware business, Wing on Wo & Co. (W.O.W) In early 2016, her family’s building and business was on the brink of sale. In an effort to resist against contributing to the process of gentrification in NYC’s Chinatown, Mei decided to take on the role of running W.O.W to continue her family’s five-generation-long legacy in the neighborhood and help protect the heart of Chinatown from encroaching gentrifying forces. In May 2016, with the help of Diane, Mei founded The W.O.W Project out of a desire to bring community members’ concerns of a rapidly changing Chinatown into a space for dialogue. At its core, The W.O.W Project is working to reclaim ownership over Chinatown's future by reviving, protecting and encouraging Chinatown's creative culture through arts, culture and activism. Mei is currently a National Art Strategies’ Creative Community Fellow where she is working to build a socially-minded business model for W.O.W that supports the future growth of The W.O.W Project. Diane Wong is a doctoral candidate at Cornell University, where she writes on race, gender and the gentrification of Chinatowns. As a scholar activist and educator, her research stems from a place of revolutionary praxis and love for community. As a first generation Chinese American woman born and raised in Flushing, Queens, her research is intimately tied to Chinese diaspora and the urban immigrant experience. 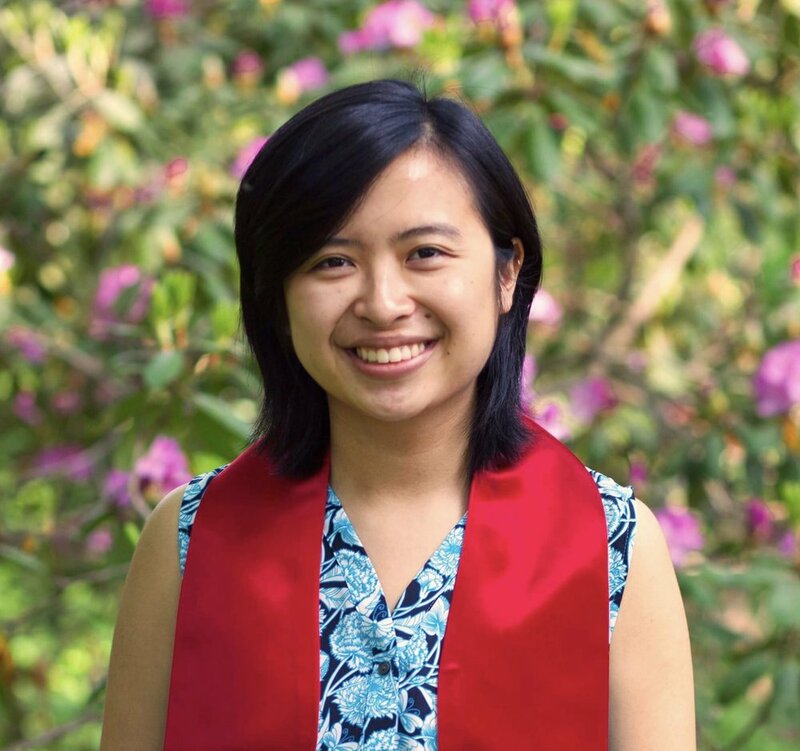 Her current research explores how gentrification politically impacts the Chinese immigrant communities in San Francisco New York City, and Boston. Her research has been funded by the National Science Foundation, American Political Science Association, and Cornell University's American Studies Program. Diane also works as a community organizer with groups like CAAAV: Organizing Asian Communities and Chinatown Art Brigade. *If you'd like to get in touch, have questions or are interested in collaborating, please leave a note below and we'll get back to you as soon as possible!